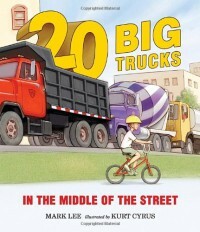 20 Big Trucks in the Middle of the Street, by Mark Lee, is an adorable picture book with captivating illustrations and an utterly addicting rhyming story. A cute little boy narrates this 32 page story, counting the twenty different trucks that get backed up in the middle of his street, all because of one stuck ice-cream truck.The rhyming, sing-song narration flows in the most perfect and pleasing way. 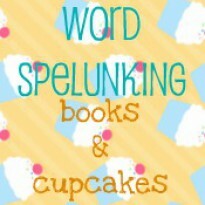 Little readers, and those being read to, will love the simplicity and sound of the rhyming rhythm. The bright, physically appealing pictures, by Kurt Cyrus, illustrate the story wonderfully. Each of the different twenty trucks has its own personality and pizzazz and little readers will love pointing the various trucks out and picking their favorites. The illustrations are busy enough to keep little eyes entertained and enthralled, but not too busy to overwhelm.I love that the little boy narrator is the voice of reason and comes up with the big plan to save the day, and I think little ones will get a kick out of this too. The story begins and ends with the stuck ice-cream truck, bringing the story full circle.20 Big Trucks in the Middle of the Street is a delightful little story, perfect for little readers who love cars or who are just learning how to count. The lovely illustrations and addicting rhyming story will have little ones asking for this story again and again.